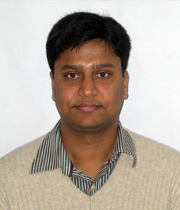 Vivek Kumar works in the area of High Performance Computing. He received his Ph.D. from Australian National University and B.E. from Visvesvaraya Technological University. His Ph.D. research focused on using managed runtime techniques for improving the performance and productivity of parallel programming on multicore architectures. Prior to Ph.D., he has worked for nearly 6 years in research and development positions in HPC areas at technology firms such as CDAC R&D and IBM Systems and Technology Labs. After completing his Ph.D., he worked for nearly 3 years as a Research Scientist at Rice University. Parallel programming models and runtime systems.